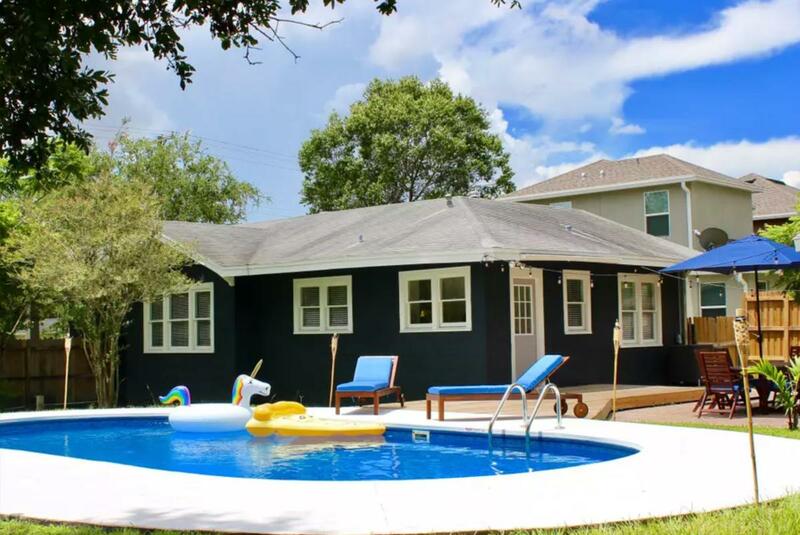 Airbnb offers unique homes and a local city experience for visitors to Tampa Bay. Reserve a private room or an entire house with all the amenities. Discover the perfect home-base for your stay using the map, and book via Airbnb using the "Book Now" tool below. Check out our top picks for your next getaway to Tampa Bay. Looking to be close to everything? Want to be near downtown? Love modern architecture and art? We have the perfect place. We are a young family with a brand new home with 1,900 sq. ft of space and we want to share it with you! Minutes from downtown, Ybor, and water, our 3BR modern home has a spacious bedroom with private bath! Start your day with a 2 block walk to the bay, take an Uber to grab a coffee on historic 7th St. and head downtown to your meeting all without traveling a mile! 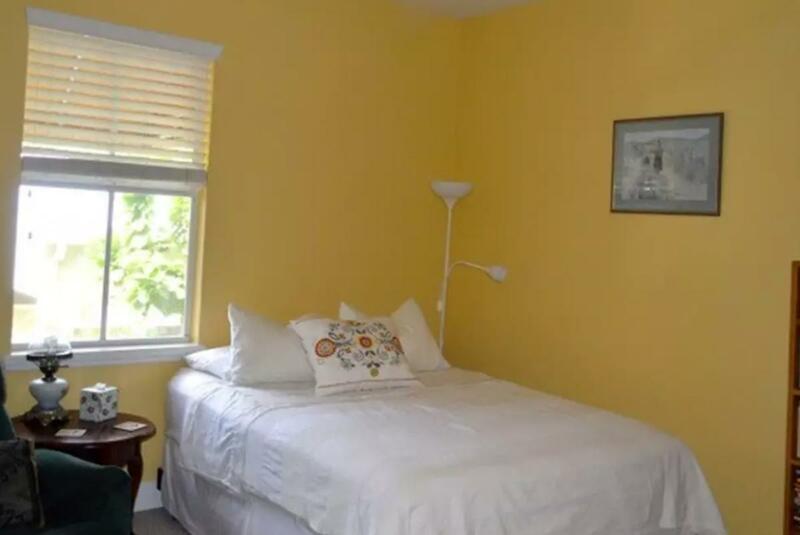 This charming and cozy guest suite has a private entrance, pool, and 2 bikes for guest enjoyment. The walk-in shower has a built-in bench and two shower heads for the ultimate spa-like experience, complete with fluffy and oversized bath towels. The pillow-top queen bed and quality linens ensure a good night’s rest. The fenced back yard is divided into two sections with a wrought iron fence dividing the pool area from the patio area. Enjoy al fresco dining in the patio area on the Weber grill. Welcome to beautiful Davis Islands! Just 2 miles from downtown Tampa, it's the perfect location for attending the Convention Center, visiting a loved one at Tampa General Hospital, a student at the University of Tampa, or simply getting away to a quiet island just outside of lively downtown Tampa. Run/cycle right from your front door! This private and secure second story artist's space is filled with tons of natural light and tree top views of the surrounding quiet neighborhood. 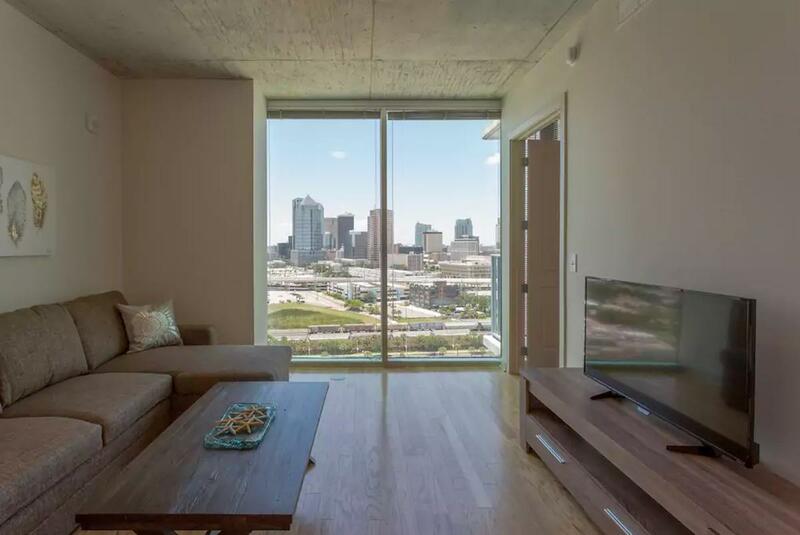 This beautiful high-rise gives you access to everything you could want in Tampa. The tower is a short ride to any offices downtown and is walkable to both the Amalie Arena, Tampa Convention Center and Port Tampa (for cruisers!). The unit is new, with floor to ceiling windows and tons of natural light--perfect for any stay in Tampa or for visiting the surrounding areas. We look forward to hosting you and giving you a great experience here in Tampa! Pool and gym on the 23rd floor! 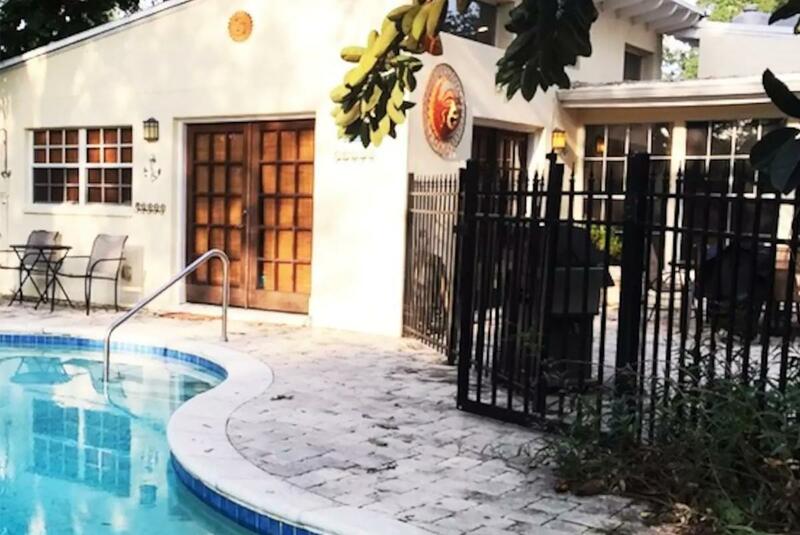 Beautiful private guest house with a beach house feel is located minutes away from downtown Tampa, Ybor City, and Amalie Arena . It is about to 10-15 minutes from the airport and local attractions like Busch Gardens Tampa Bay, Raymond James Stadium, and The Florida Aquarium. 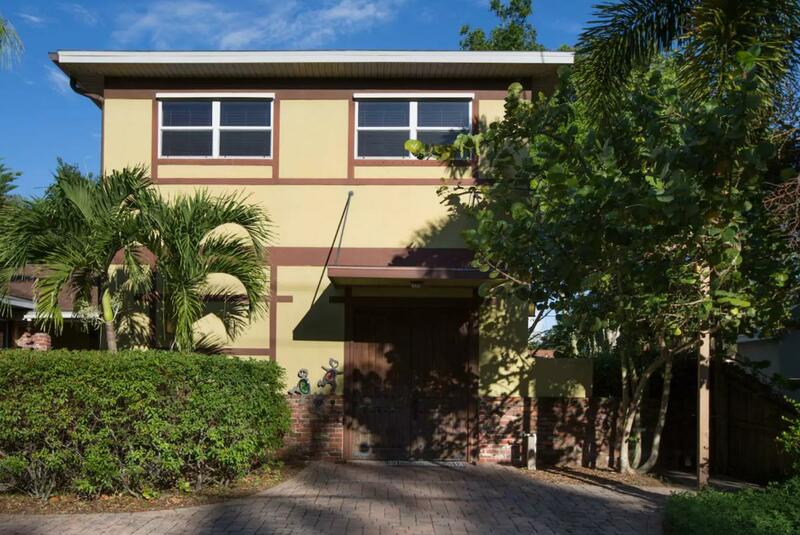 You have easy highway access to Clearwater Beach and St. Pete Beach. The detached home has a queen size bed that fits two and an available inflatable bed upon request. We are located minutes from everything. 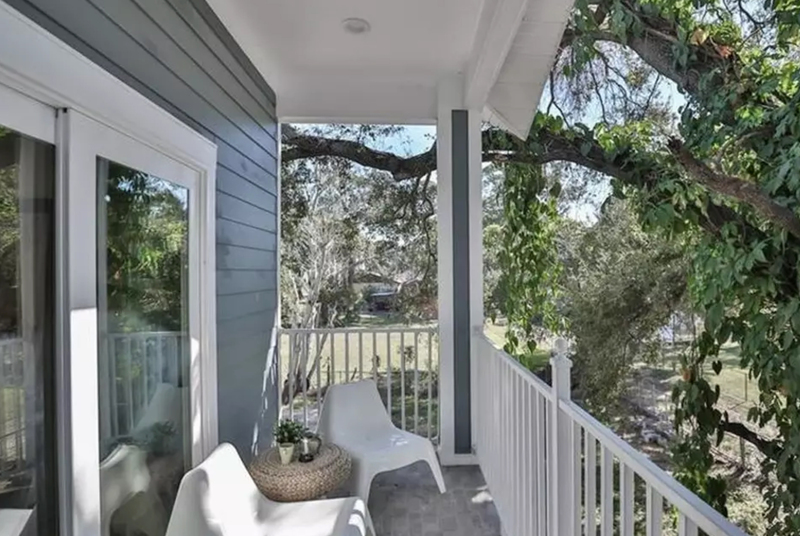 3 miles to downtown Tampa, 3 miles to UT, 4 miles from Ybor City, 4 miles from Buccaneer Stadium and Yankee Stadium, 5 miles to Busch Gardens, 6 miles to USF, 15 min to Tampa International Airport. 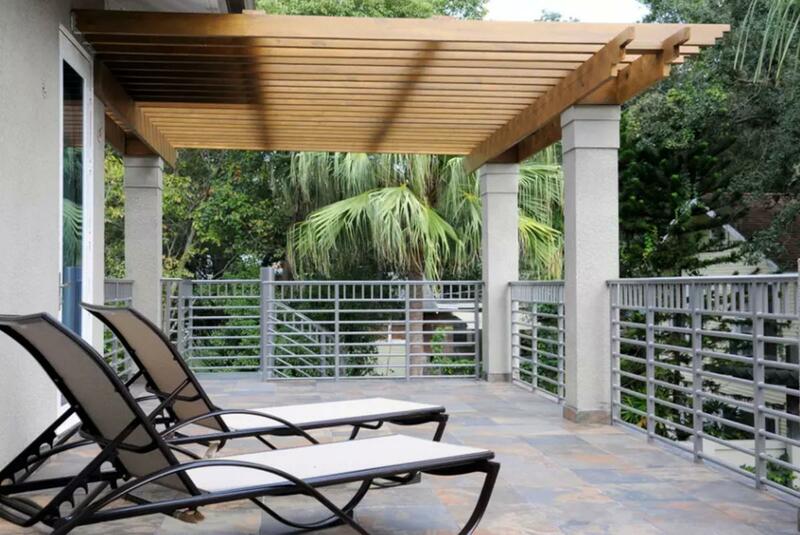 BUT BEST OF ALL, we are 10 steps from the Hillsborough River & park. We are within 4-10 minutes drive of the University of Tampa, MacDill, Amalie Arena, Bern's Steakhouse, and the Straz Theater! We are within walking distance of many of Hyde Park's and Soho's attractions and wonderful restaurants. We are also within walking distance to Bayshore. Incredible central location in a quiet area of Hyde Park. We also provide a men's bike for rent for those interested! Check out Spinlister.